The Book of Kells: One of the Most Important Attractions in Ireland! 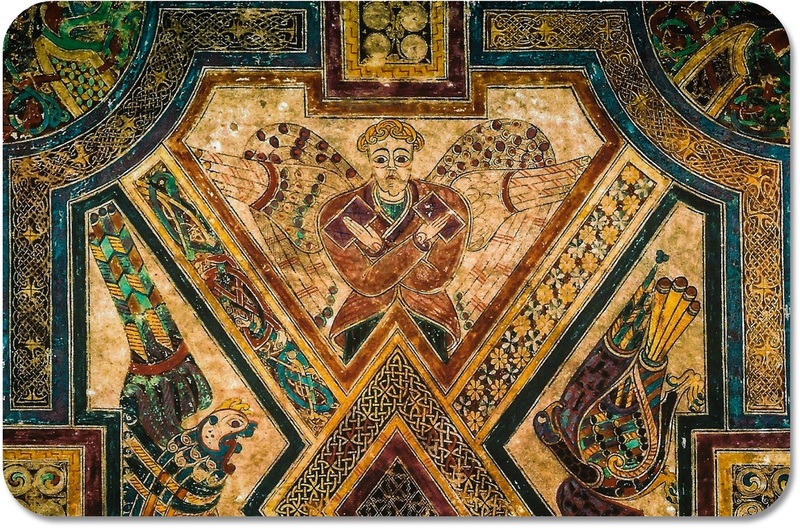 The Book of Kells: A Must See for any Journey to the Emerald Isle! 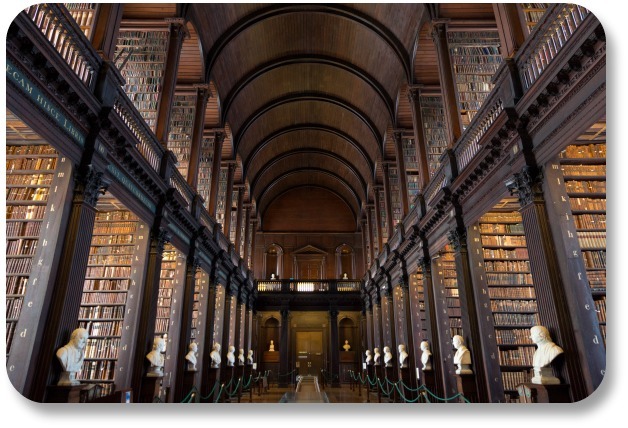 The Book is located in the Old Library, in Trinity College, Dublin Ireland. It can be seen by the public during scheduled tour times. And it is definitely one of my top 10 recommended sights to see in Ireland! Some think of the Book as some boring old medieval manuscript. It’s true that it’s old, and it is a manuscript, but it’s far from boring! Instead, it’s a religious scripture that also happens to be one of history’s greatest works of art. It is one of the oldest 'picture books' in the world! The Book was created around 800 A.D., during the deepest, darkest part of the Dark Ages. Hardly anyone at this time – except clergy and nobility – knew how to read and write. Because so many couldn’t understand the written word, art became a critical means of self-expression, particularly in Ireland. Art was used to explain various ideas, but especially events and lessons from the Bible. Irish monks at the monastery at Kells (in County Meath) and/or the island of Iona drew upon their learning and their exceptional artistic skills to create the extraordinary work we now call the Book of Kells. For years, these Irish monks labored from dawn to dusk in the monastery’s scriptorium (“place of writing”), hunched over their benches, day-in, day-out. Some of the craftsmanship is so intricate that seeing the details requires a magnifier to be seen clearly. Because Irish monks used durable vellum (specially-prepared calfskin) instead of parchment or paper, we can still see the glorious riot of colors and gold leaf (a technique called “illumination”) they used to illustrate the gospels and their teachings. The Book is remarkable because it somehow managed to survive in all its glory for more than 1,200 years. Now, it serves as a strong source of Irish national pride as well as religious inspiration. And one more thing: The Book is 680 pages long - but it’s incomplete! Two pages are known to be unfinished, although no one knows why the monks never completed them. Even so, it’s the finest medieval religious manuscript surviving today. And, it’s a wonderful, inspirational expression of Irish art. For more information about the Book of Kells, visit the Trinity College website here!